Justin Thomas Caldwell Vaughan (born 30 August 1967 in Hereford, England), or Justin Vaughan is a former New Zealand cricketer who played 6 Tests and 18 One Day Internationals and is a doctor of medicine by profession. 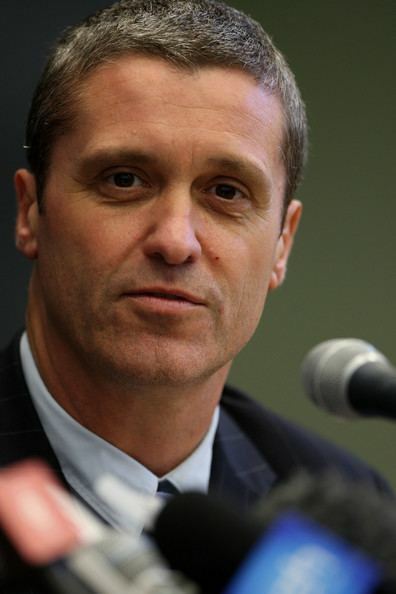 In April 2007 he was appointed to the position of Chief Executive of New Zealand Cricket (NZC) and commenced in that position on 5 June 2007, taking over from Martin Snedden. He announced that he would step down from the position as of November 2011, citing family reasons for the decision. He has three children, Natalie, Jemima, and Bruno. Vaughan was previously Chief Executive of BrainZ Instruments, an Auckland-based medical technology company listed on the ASX specialising in the development of innovative brain monitoring technology.